Well, my sickness is quickly going away. The coughing is less frequent and I have no mucus build up. So, I am happy about this. Also, school is almost over. After today, I will only have 18 days left of class, plus a few finals during the last week of April. We are cursing our early start and short Christmas break 5 months ago, but now we all love the idea of summer being here early. This is not that I do not like school, but summer is a lot better! Here are a couple of fantastic Railroad Earth songs I have enjoyed lately. Railroad Earth has grew on me the past week or so. One thing I have prided myself on for the past several years is the ability to avoid sickness. I really cannot remember being sick since sometime early in my high school days, which is 4 or 5 years ago. I do not do anything out of the ordinary, besides maybe the amount of green tea I drink. But, last week, I "got sick". It is nothing bad, mainly annoying and frustrating, especially going this long without getting sick. I am mainly coughing, a lot, and spitting up a bunch of mucus. There is no cold, stomach ache, or anything along those lines, just coughing My muscles could be a little fatigued, but that might just be from the hard workout on Friday and really hilly trail run Saturday. My chest hurts from coughing so much and I can't even laugh without having a cough session! I have been trying to self heal myself, since I don't like the idea of taking medicine. Hopefully this goes away soon. In other news, today I reached my 10th week in a row at 100+ miles. It has all been good this year with running, 5 races, 5 PR's. I will be running the 10K at Duke this Friday night, and that should be another PR, since my fastest is only 33 minutes. The field will be stacked as well, so I can just get comfortable and go with the flow (no leading this race!). Looking forward to some cough free runs soon! This looks like a fast time for 15 miles, but this included a track workout at the illustrious Spartan Stadium. We did 1200, 800, 1200, and then 6 x 400. This workout went well, even with tired, "road trip" legs, running 3:30's for my 1200's, 2:18 for the 800, and keeping it around 66 for the 400's. I even surprised myself with a 62 second 400 for my last one! I have leg speed left? 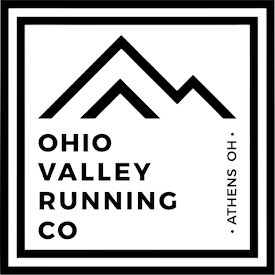 #1: 9 Miles (1:12:00) Orange trail from Hangover route. Ran a nice 7 mile night run when I got home. Was short on time, as we were leaving for NC at 4. I worked till 3:15 and had class from 8 to then. Ran before school and fit in a little more before we left. #1: 4 Miles (30:00) Shakeout in NC. Ran a lot around the track meet, since I wasn't racing this day. Found some sweet trails that didn't last as long as I wished. This is my longest run at once, did it all with Blake Jones, as he is training very well for the Boston Marathon. Friday, was the race at UNC Charlotte. It is a beautiful campus. Someone in Colorado told me I shouldn't race after coming down from altitude, but I did not see the negatives to it, so I did it. And I probably was not getting out of running it anyway. The overall trip to North Carolina was a blast and no one could ask for a better day for racing. The 5k was scheduled for 9:20 on Friday night, the weather was about 65 degrees, absolutely no wind, and perfect for a fast race. Anyone could say that it was not "the right move" to make when I took the lead the second time after a mile and a half. But, I would not change the way I did it. I led a total of 6 laps out of 12, and loved every second of it, not even caring who was behind me. It ultimately led to a 18 second PR! Assistant coach Blake Jones went buzzing by me in the last 100 to run a 33 second PR of 14:58 and the rest of the team PR'd as well. Coach ended up going 14:37 for second place. The Bears were having a good night! The weekend was young, as I grabbed 17 HOT miles in the NC sun the next day as everyone else raced. Today, I also got a long run in. Blake and I did 21 miles in 2:30:00. We ran the 12 mile Kentucky loop and 9 more miles in town. We ran a solid pace the entire run and we both felt strong the entire time. It was both of our longest runs in one run time wise(besides his marathon). Now, the week is over, and I am here writing this instead of doing the loads of homework I have to do. The only motivation I have for school right now is that there is only 5 weeks left! The multiple projects I am in the middle of are pretty stale and..... easy..... but time consuming. I am really looking forward for more running, it is going really well right now! Here a the few pictures I did manage to capture during my spring break. I didn't bring my camera with me the majority of the time, because I was mainly running and don't like to carry anything while I run. The day I did run with it was the day I went to Green Mountain, S. Boulder peak, and Bear Peak. ^ This is a picture of Milford Lake right outside of Junction City, Kansas. I stopped here on Saturday, after 13 long hours of driving. I got 13 miles of running in around the lake and slept in the grass that you see in this picture. I was literally the only person at this area, as everything is closed until Spring. It was warm enough for shirtless running though. After 4 hours of being here, I hit the road again, heading to Boulder. ^ Here is a wind farm as I neared the end of Kansas. This is the ideal place to place a wind energy farm because on the way home through here, there were high wind alerts posted along the side of the road. Nothing but fields along Rt. 70 all through Kansas. ^ This is the first peak Jeff and I went up on, looking out over Boulder from Green Mountain. The rest of these pictures are from the day I brought my camera on the run (Thursday). ^ I am pretty sure the previous four pictures are from S. Boulder Peak. Jeff would have to confirm this though, as I can not remember for sure. The top is just over 8,500 ft.
^ These last four are from Bear mountain peak. The picture nearest, above, you can see Colorado University, all the buildings with a red roof. Awesome university and great college town overall. After my first run at altitude the day before, it felt nice to get up and a little loose. Ran this around campus and a few miles barefoot on Kitt Field. Met and ran with Kraig. #2: 8 Miles (1:25) Green Mt. First time running up a "real" hill. Met with Jeff Valliere. He showed me the way up Amp, Saddle Rock, to Greenman. (:40) Bought and wore YaxTrax for the first time. Ran over to Kitt and did some barefoot again. Lungs were feeling a little different this day. Shirtless freedom for the first time in a few months. Met Jeff again and ran up Green via Gregory to Ranger. Felt a lot better this time. Went out and ran solo on the Mesa trail. I had heard this was a flat, more comparable to the Shawnee trails. It was a good run, on the way back I was cruising around 7:15 pace or so. Raining and then snowing in Boulder this afternoon run. Just explored around CU's campus a little. Met up with Jeff and ran 3 peaks. This was the longest run time I have did at once. Distance was a bit of a slog; running through fresh snow and down ice the majority of the run. Was salaaming down fern as we made our way to Mesa. Ended the run with a faster pace, as I think our legs were happy to be... non-restricted. After having a longer trek in the morning, I decided to go do some barefoot on Kitt. This was the most "in-tune" and in tact I have ever felt with my body. Great overall day. #1: 13 Miles (1:40) Green Mt. Decided to give one last run up Green via Amp., Saddle, to Greenman. Was going really hard up it and at 31 minutes, ran into Anton Krupicka. Stopped and introduced myself to him and ran back with him. Really nice meeting him and talking a little. Stopped in Salina after about 9 hours in the car, ran a few along a bike path. Got back to the house around 5:30 pm and ran some around the house. Reece ran a few with me on the trails behind the house. Vertical: A lot more than Ohio! Above is pretty much the main reason I traveled to Colorado. After the fact, I am wishing I could of got down to Colorado Springs to run some trails, but I didn't know where I was going half the time. I was in a good situation staying at the Hostel and running with people daily. The trip was a life changer and will have an impact on my future for sure. Add to the altitude change in the week of running, I also ran the most amount of miles in one week. I feel confident and strong, both mentally and physically. Now, spring break is over and I am recharged academically. Looking forward to a great last 6 weeks of school and continuing to Live the Dream and Run Free! Magnolia Road 5 miles uphill on Sunday, Green Mountain via amp/saddle/greenman on Monday, and Green Mountain via gregory/ranger on Tuesday is probably the hardest three consecutive days in my short running career. All that plus being introduced to a higher altitude has been a pleasant shock to my body, both mentally and physically. Breathing is not a big issue, like people over exaggerate about, but nonetheless I have felt a difference, especially the first 15 minutes or so of running. After a while, I can find a nice rhythm and it is not much of an issue. Today's run I hardly felt a difference. Mentally, running up a mountain, is tough. Breathing is full force most of time and the heart rate rarely drops. As for the legs, they burn and yearn for a level spot or downhill, but sparingly get one. My mental tactic: forget about the legs and focus breathing. I have felt these types of feelings in my legs, nothing new (I mean, 20 400's isn't a joke). If I can settle into a nice rhythm, running up Green Mountain will be easier. How easy can it get though! Today, in Boulder, I did not run up Green. I decided to explore a new section of trails, mainly the Mesa Trail, which heads south (or north pending on where you start) along the east side of the Flatirons. It was gently rolling with long, gradual inclines and declines, nothing too big. As I turned around an hour into the run, I felt a sense of freedom and came back about 8 minutes faster. I was running free, in the shadows of Green. I talk as if I am an expert, but truly, I have ran a mere 3 "mountain runs." (every time I write mountain run, it sounds a little goofy, there has to be a better way of wording that!!) Someday this will be an everyday thing (hopefully) and it won't be a big deal, but right now, this is a start of something new. Spring time is here. The sun is out and the last of the snow is melting. This new season is producing a new inspiration for me and I am on a fresh course to do bigger and better achievements. Running has been nothing but great the last week. I had a great run on trails Wednesday that included a barefoot stint in a field Shane, Reece, and I came across. We also pushed our way up the biggest hill that we have found in the forest thus far, "Bear Hill." Yesterday, I celebrated my 21st birthday with 21 miles of running and today I ran relaxed and calm for a 26:12 5 mile on Spartan track. The last three days were 3 different types of running and that variety is making me strong and confident that will take on any task. 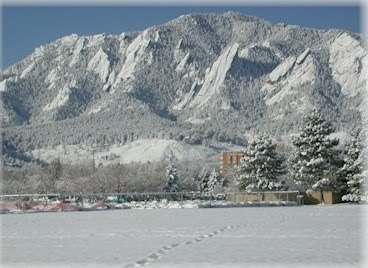 Other exciting things in my life is...... in a few hours, I am heading to Colorado for spring break. I am driving there alone and will be sleeping in a tent most of the time, maybe my car if it gets to cold. 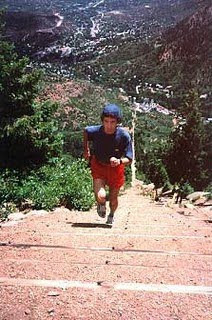 I am going to run some stellar trails and make it up a few high mountain peaks near Boulder. I am Colorado Bound!